In this article we will explore how Artificial Intelligence will impact strategic decisions on the geographical location of shared service centers. In their pursuit of reducing operating costs and enhancing customer experience, companies across various industries have launched initiatives to implement a shared service center (SSC) in the recent years. Consolidating operations for a wide range of services (most remarkably in finance, accounting, procurement, order management, logistics & transportation management, information technology and human resources) in a centralized internal entity has been considered as a valid alternative to outsourcing in a company’s endeavor to streamline supply chain operations. The make-or-buy decision in favor of an internal option has been driven by numerous factors, such as increased transparency, better control of costs and service levels, as well as data sensitivity, to name just a few. According to the traditional view, the advantages of a shared service center are particularly accentuated for transactional and administrative processes which, compared to other processes, show relatively high transaction volume as well as less complexity. Substantial benefits could be leveraged for companies with a fragmented decentralized organizational setup, a low degree of process standardization and, a relatively high level of process costs. As reducing operating costs has always been one of the key expected benefits of setting up a shared service center, many of these centralized units have been established in low-wage countries. One key target area in this regard has been Eastern Europe, where numerous shared service centers are providing various services on a regional or even global scale for multinational companies. Based on 2017 figures1, the top 3 Eastern European destinations with the highest number of operating SSC are Poland (410), the Czech Republic (150) and Hungary (around 100); nevertheless, the position of the Baltic states has significantly improved in the last years – a development which we at CAMELOT have also been observing in recent projects. High transactional volumes as well as the considerable share of repetitive tasks explains the importance of personal costs in total operating costs of a shared service center. It makes also clear why setting up a SSC in a country with lower wage level brought about remarkable benefits and led to significant cost reduction in the past. However, they are also the factors which, facilitated by the increasing application of Artificial Intelligence, will potentially account for a remarkable re-thinking in the determination of the optimal SSC location in the future. In the last few years, continuous progress can be observed in the area of Artificial Intelligence and Machine Learning. Artificial neural networks enable machines to constantly build up knowledge and, due to this ever-growing knowledge base, they are in a position to deduce consequences, make decisions and perform tasks more and more independently of human beings. The automation of labor-intensive repetitive tasks and the fading reliance on human resources will likely have a not neglectable implication on the strategies companies will develop with regard to shared service center operations as well. 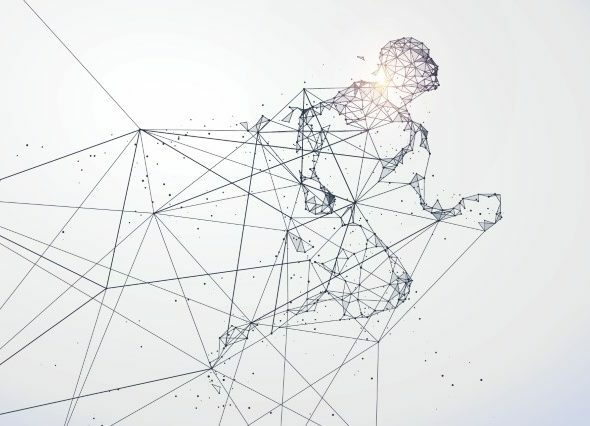 In connection with processes being usually subject to shared service centers, there is a wide range of activities which could potentially be taken over by highly adaptive and self-learning machines. The location selection for a shared service center is a complex decision-making process where various factors play a more or less important role. Aspects like availability, skills and quality of local workforce, labor law requirements as well as general political environment were often outweighed by the importance of operating costs, resulting in a decision in favor of a low-wage country location. As soon as the application of Artificial Intelligence results in a vanishing competitive advantage of low-wage countries, a shift for a preferred SSC location towards geographies of the parent company is a realistic consequence we will probably observe in the coming years.